I contacted the seller and asked for a replacement. They offered me 50p off. I said no thank you, I wanted the hook. They warned it could take a month, and I said fine and forgot about it. Yesterday the package arrived. 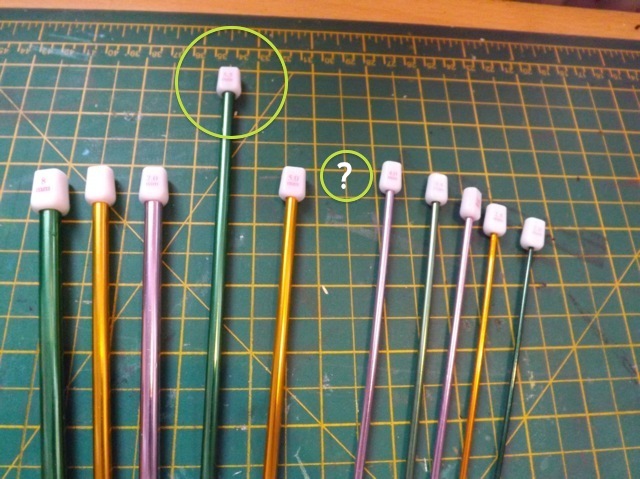 Now, I have no idea wh this keeps happening to me, but rather than getting JUST the thing I wanted – one 5.5 mm Tunisian crochet hook to complete my set, I got nearly ANOTHER COMPLETE SET. 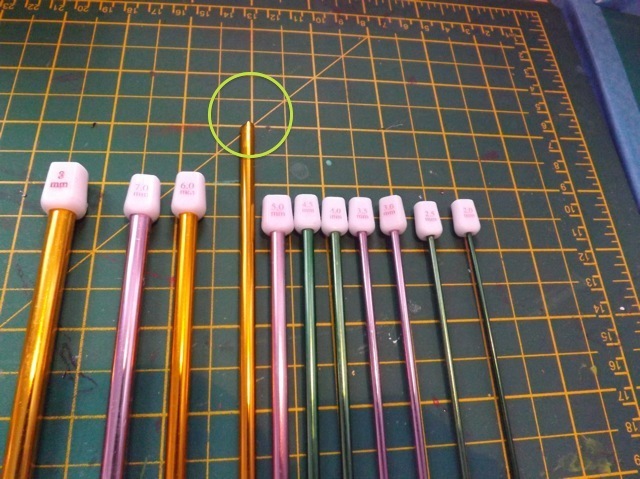 I say “nearly” because it DOES contain the hook I needed to replace the broken one, the 5.5 mm, it has all the other hooks in the set as well, EXCEPT the 4.5mm hook! So for £3 I got 20 hooks. Can’t complain about that, but not sure I need duplicates of all of them. I might offer them to my crop ladies, see if any of them are keen to try Tunisian crochet…. My MIL is such a wealth of info on all the “womanly arts” – sewing, cooking, knitting, crochet, quilting… I always have a handful of things I set aide to ask her advice one. She grabbed my socks, the ones I’ve mentioned before, that needed only the grafting of one toe to be wearable, and sorted it for me in seconds (including, to my dismay, repairing moth holes, I’d let them languish for so long) and completed a shawl, then knitted another one, blocked and mailed it off, then knitted another one. All in less than a week. She confirmed my decision for the binding fabric for one quilt (phew) and gave me a great tip for the socks I decide to cast on so I could be making one and get all her tips for sock knitting while actually knitting a pair, so I’ll hope to remember them. 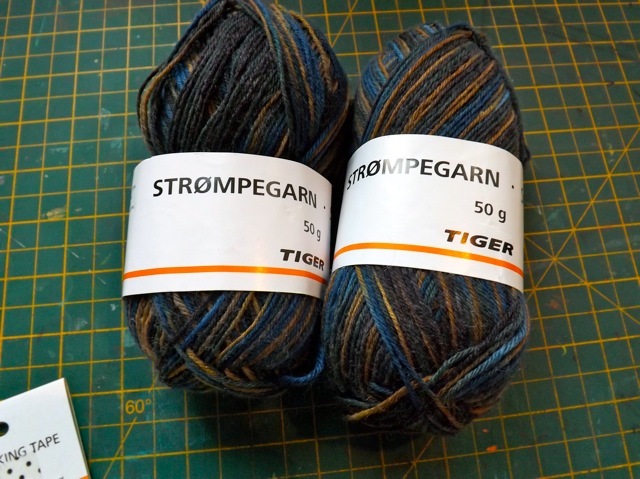 We popped in to Tiger on a trip in to town, and I scored some cute yarn for £1 for a 50 gm ball! I wonder if I can trick DS into thinking they are shades of grey? I may need to pop in and grab a bit more. And see there in the corner? 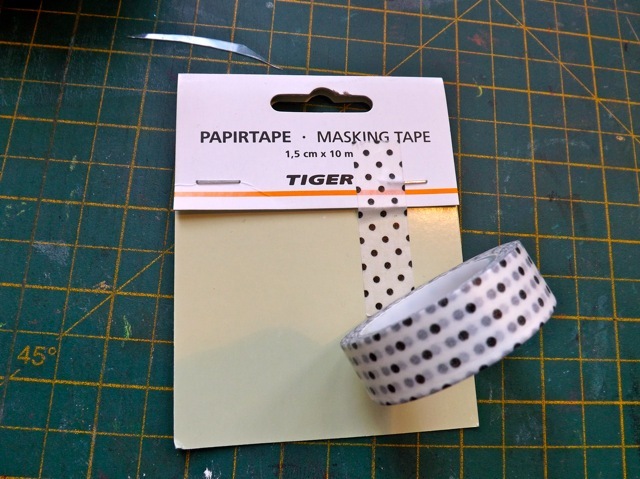 £1 washi tape too! I was rushing, and the rolls were all higgeldy piggeldy on the rack and no time to look at all of them, but the B&W dotty one was ALWAYS going to be useful so I grabbed it. They are off on Thursday and we have a packed full last few days so all I can say is you’ll see me when you see me…. Categories: musings | Tags: Crochet, knitting, scrapbooking, Tunisian crochet hooks | Permalink.